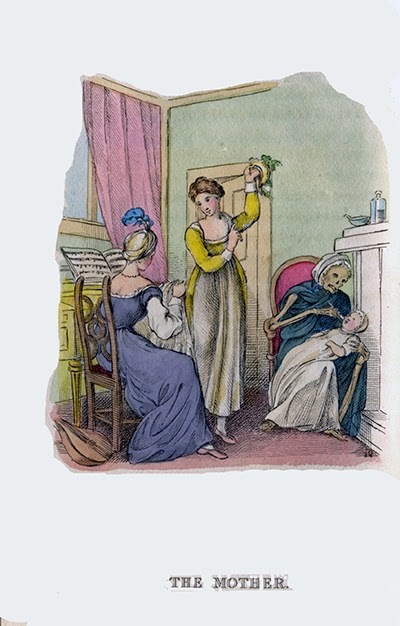 BOOKTRYST: Death Makes A Lousy Nanny, Etc. Manny, Moe, and Jack, the last of the Graces. - Joe Louis on ring opponent Billy Conn.
What's up with Death? What's it doing? It never takes a holiday but nowadays it seems to always be someplace else and never near until it is: it's messy and depressing and we keep it in a compartment, generally confined to a television box or computer screen. As if a hotel toilet seat it's been sanitized and deodorized for our protection. Unless, of course, you're in the midst of war and it becomes the close friend you never wanted and don't like but can't get rid of. Death is such a downer, so anti-life. We've buried it as something to be avoided at all costs, life and death as mortal enemies. Kill death before it kills us. We're shocked by its presence; it's alien to our existence. Keep an eye on the nanny. This is a recent phenomenon. Until the twentieth century, death was an ever-present close companion, always lurking and liable to strike at any moment. Women routinely dying in childbirth; high infant mortality; rampant, intractable disease; and ignorant medical care ruled. How did people cope with it? Religious faith was one way. Facing it dead-on, accepting, and often laughing was another. 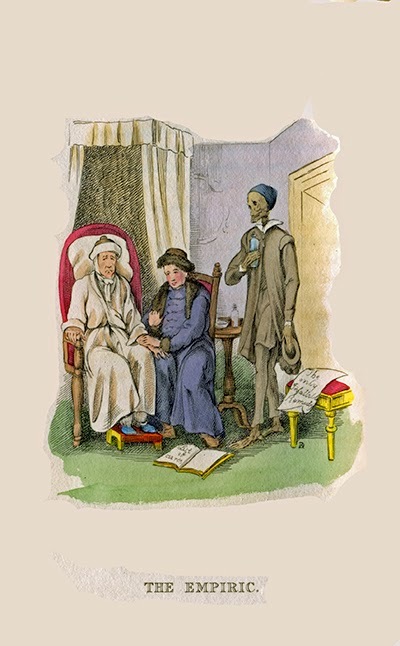 There is a rich tradition of illustrated books that treat death as a living character in the theater of life. 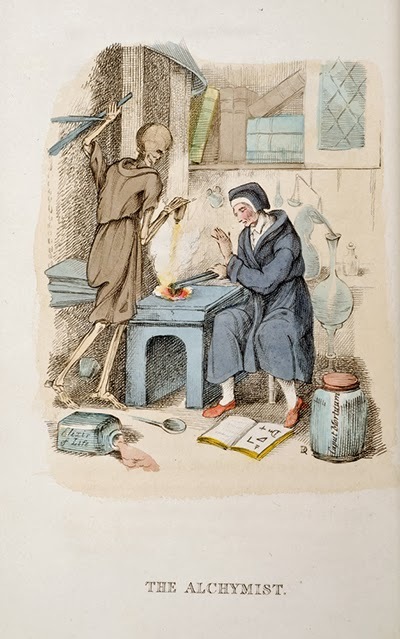 The earliest, appearing not long after the Black Plague ravaged Europe, is Ars Moriendi (The Art of Dying), two manuscripts from the early fifteenth century on how to attain a good death, the second containing eleven graphic woodcuts. Hans Holbein's The Dance of Death (1538) featuring forty-one woodcuts is probably the most celebrated. The "dance of death" (or "danse macabre") was a "medieval allegorical concept of the all-conquering and equalizing power of death, expressed in the drama, poetry, music, and visual arts of western Europe, mainly in the late Middle Ages. It is a literary or pictorial representation of a procession or dance of both living and dead figures, the living arranged in order of their rank, from pope and emperor to child, clerk, and hermit, and the dead leading them to the grave." (Encyclopedia Britannica). 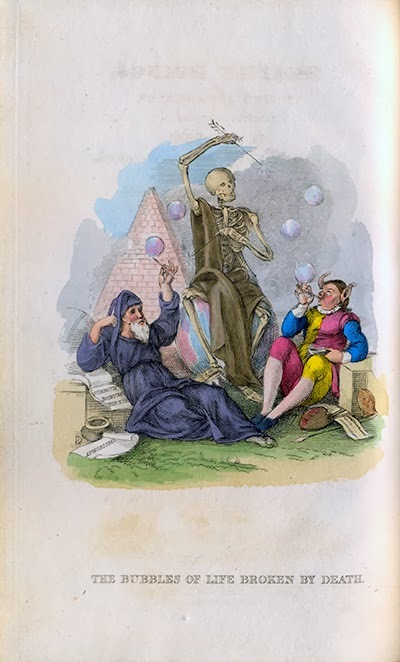 The nineteenth century saw the publication of William Combe's The English Dance of Death, originally issued in monthly parts, 1815-16, with seventy-three hand-colored aquatints by Thomas Rowlandson. The book at the doctor's feet is List of Cures. The leaf on the footstool by Death reads, The Only Infallible Remedy." 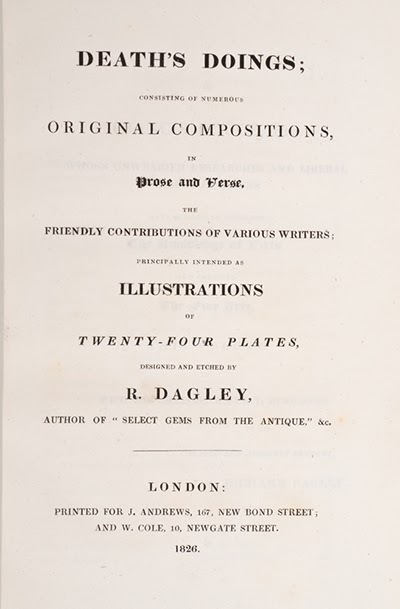 Ten years later, in 1826, British painter-engraver Richard Dagley published Death's Doings featuring prose and verse selections by various writers highlighted by twenty-four hand-colored plates designed and etched by Dagley. while fighting for its independence. Dagley continues the tradition, with Death near at hand to everyone no matter who they are, no matter the circumstances. Death is everywhere, all the time, in the background tapping a foot in wait. "Richard Dagley (c. 1765-1841) was an English subject painter. He was brought up at Christ's Hospital, and at first made designs for jewellery. From 1784 to 1806 he exhibited domestic subjects at the Royal Academy. He then turned his attention to teaching drawing, but again appeared at the Academy from 1815 to 1833. As a medalist he obtained some success, and he published works on gems in 1804 and 1822. His life was a continued struggle against poverty. 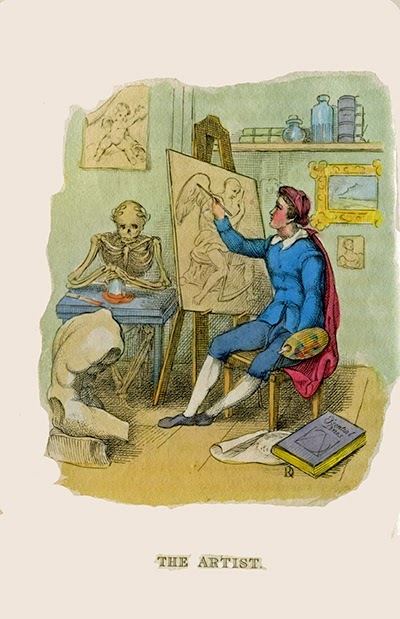 He died in London in 1841" (Bryan's Dictionary of Painters and Engravers). The ultimate Dear John letter. Almost as if her lover were near. How her true lover fought and fell. And she reads in that scroll her heart's despair. To young hearts bound in one fond vow. 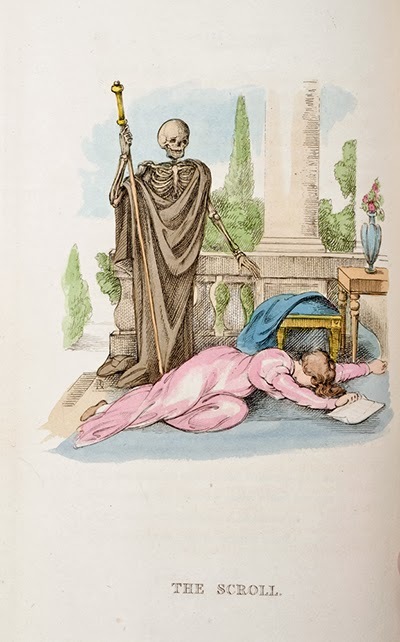 Very popular upon its publication, a second edition of Death's Doings with six additional plates appeared in its first year followed by an edition in 1827 and a first American edition (Boston) in 1828. 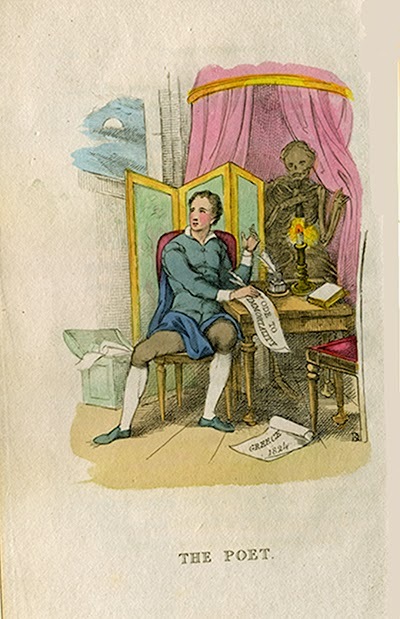 Though well-represented in institutional holdings, the last (and only) copy of Death's Doings with hand-colored plates to appear at auction was twenty-four years ago, in 1990. Assertions to the contrary, Death does take a holiday: it has recently been vacationing at Club Dead, the last resort to get away from it all, with an all-inclusive package featuring eternal days and nights and all you can eat, though, admittedly, appetites are infinitely suppressed; the only diet that really works over the long-term. Though booked as far into the future as one can see there's always room at the inn and my 87-year old mother is currently en route to this fabulous ultimate destination spot where Death is headlining the midnight show in the Drop-Dead Lounge and slaying the audience. While there is no turbulence, her flight is in limbo, she's grown impatient, and the family is slicing anxiety into thick slabs, experiencing a thousand deaths as she nears hers. It's not that Death can't make up its mind so much as Death behaving as a cruel tease. My mother, never known for sharp humor, has made a startling debut as deathbed quipster, making sardonic jokes during brief periods of lucidity. Asked the other day if she needed anything she replied, "a shroud" dare I say deadpan. 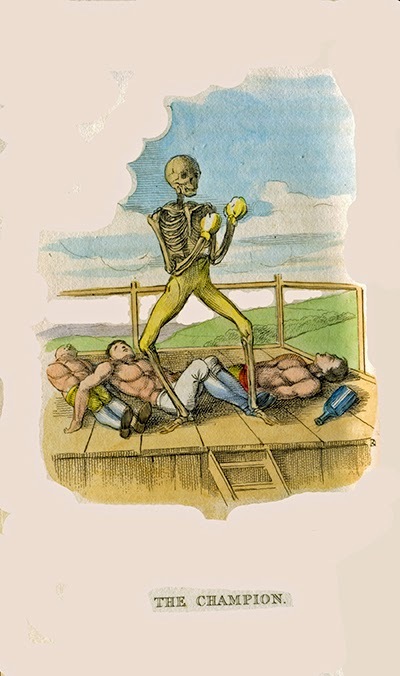 Death is jerking us around. All we ask is that it get on with the show and be done with it. DAGLEY, Richard. 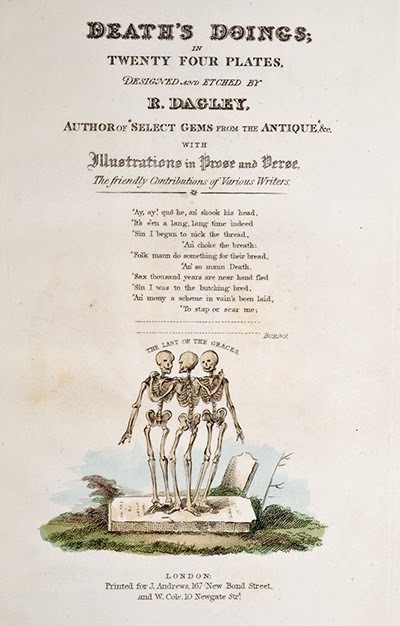 Death's Doings; Consisting of Numerous Original Compositions, in Prose and Verse, the Friendly Contributions of Various Writers; Principally Intended as Illustrations of Twenty-Four Plates, Designed and Etched by R. Dagley. London: Printed for J. Andrews and W. Cole, 1826. First edition. Octavo (8 1/4 x 5 1/8 in; 211 x 131 mm). xviii, , 369, [1, blank], [1, list of plates], [1, printer's slug] pp. Twenty-four hand-colored etchings. Not in Tooley, Abbey, or Hardie. 23. The Bubbles of Life Broken By Death. thanks for the beautiful images and warm regards to you and your mother. may her time yet be filled with joy and humor.